I received the book from Manning Publications as part of the Manning Early Access Program (MEAP). 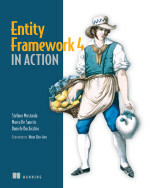 This is the perfect book for learning and mastering Entity Framework. 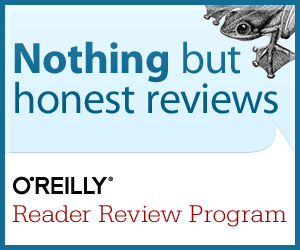 I started reading the book as a beginner to entity framework with very little prior work experience. The way the whole concept of ORM is introduced by the author is awesome. The authors have clearly explained the advantages and disadvantages of the ORM and compared Entity Framework with NHibernate, the most used ORM at the moment, well done. These sections build up on EF 4 very gradually covering all basics on the way. If you are a novice, you will find it very easy in terms of the learning curve. Folks at intermediate level need not be disappointed though. It doesn't miss out on the advanced topics or best practices while trying to make the beginners happy. It covers real life scenarios really well and points out the type of issues that you may run into along with the solutions. The name of the book contains "in action" and it does live up to it. Also I like the fact that I got an e-book along with the printed one. Makes it easy for searching. Though I would still prefer to read a printed copy. But this is not a small book, this is more of a 'complete reference'. And the chapters in a way depend on scenarios or examples covered in previous ones. So if you pick up the book and start from the middle you may not find it easy to comprehend. The book comes with a sample app that the authors walk you through the book. Be aware that you may run into compilation issues at times and will have to debug through to add appropriate references to make the code run. This will not be a problem if you follow the book from page 1 instead of picking it up in the middle. I strongly recommend this book. Also worth mentioning is that this book is much better than the asp.net book by the same authors and Manning.